ounded in 1988, the band Paris Washboard is made up of four instruments: clarinet, trombone, piano and washboard. One can be surprised by its originality and its capacity of movements. 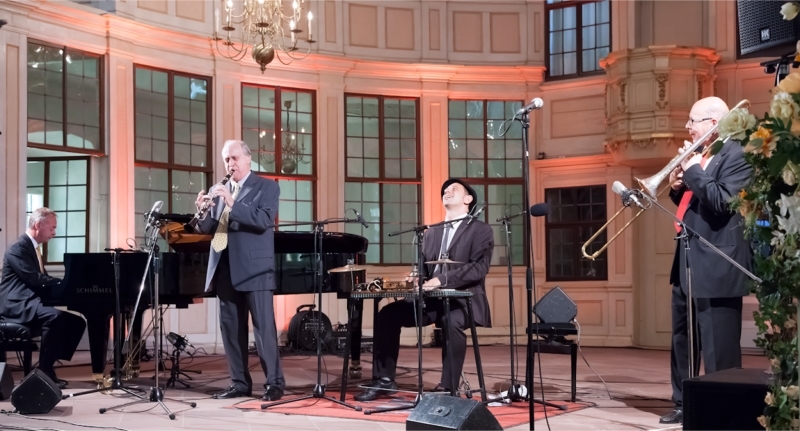 The success they have had around the world for 25 years can demonstrate that this kind of group, absolutely unique in the trad jazz world, is bringing something new in a jazz style that started to get more or less worn. Conviviality, youthful enthusiasm, humour, professionalism, choice of a rich and still enlarged repertoire (from the ‘20ies and the ‘30ies, Fats Waller, James P. Johnson, Duke Ellington a.o., but also original compositions), and exceptional musical individualities bended with a solid friendship, these are the ingredients of Paris Washboard. 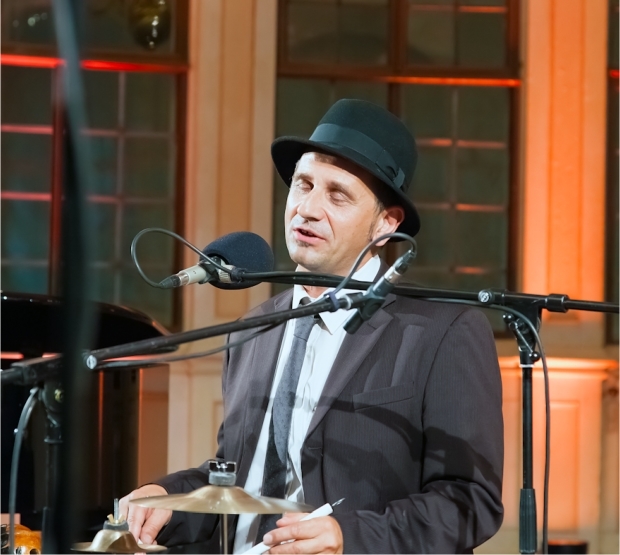 Daniel Barda, the band's founder and leader, is actually a symphonic conductor, dedicating himself as often as possible to his other passion: traditional jazz. 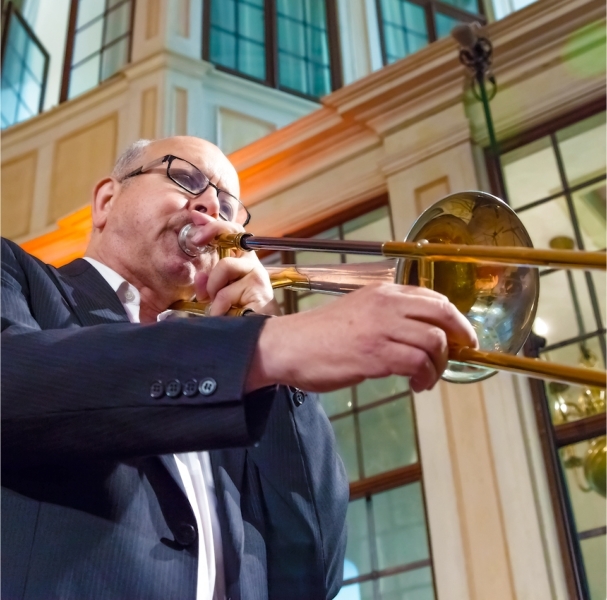 In this style of music, his way of playing the trombone is both relaxed and full of vitality. A recent poll published in a jazz magazine elected him best French "New Orleans" trombone player. 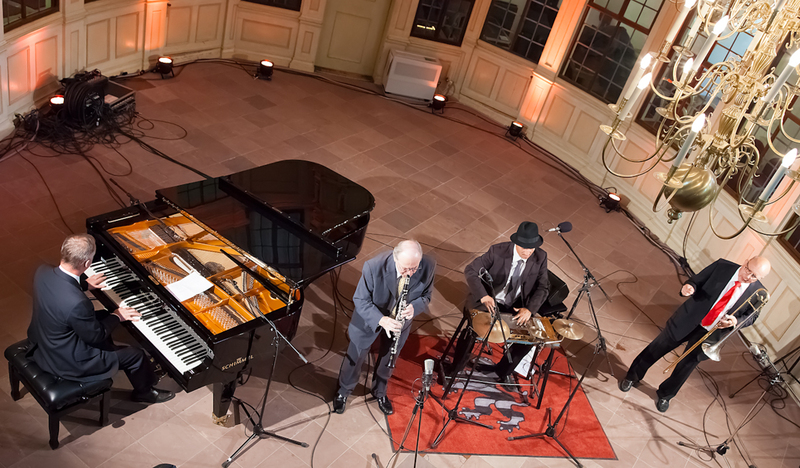 In the United States, he is very often compared with James Archey, Turk Murphy and Jack Teagarden, three of the greatest North American jazz figures. In 1998, he recorded with Paris Washboard his album 100. This CD will be No. 150! Stephane Seva, he is an excellent washboard player and he adds a large selection of percussion instruments including cymbals and wood-blocks. He is also a singer and has a good deal of humour and performance spirit. He fits the band perfectly being a member since 2008. 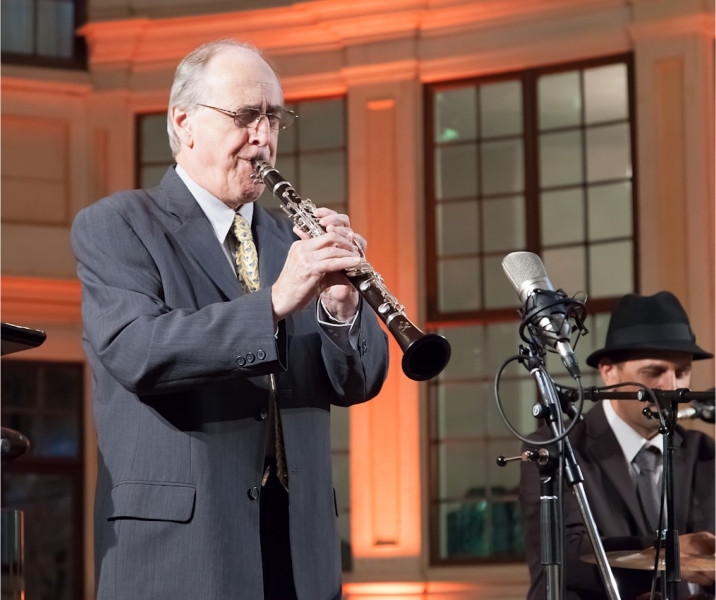 Alain Marquet is a unique clarinet player. Stylistically, he is influenced by Johnny Dodds and Sydnet Bechet in the 1920s: a round and colourful sonority, supple phrases always full of sophisticated embroideries, in which neither the inspiration nor the musicality are missing, nor above all a beautiful and strong execution. 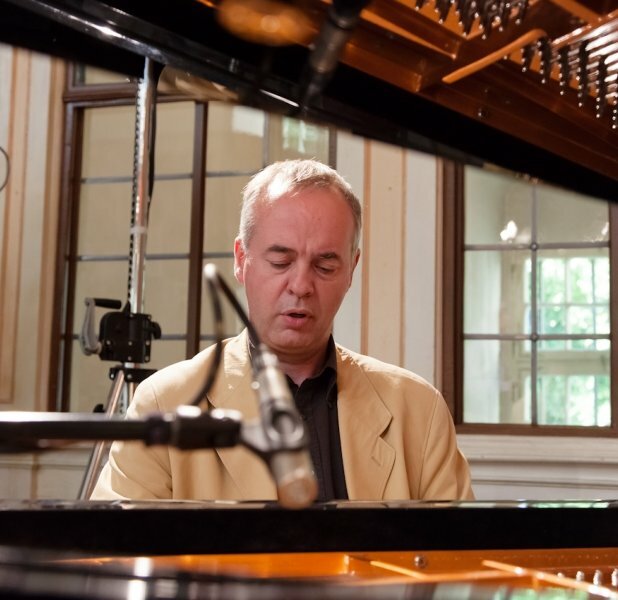 Louis Mazetier, the pianist, is now considered by the American specialized press as the best "stride" pianist in the world. His breathtaking style mixes technical precision with a tremendous enthusiasm. His left hand masters the bass so perfectly that there is no need for Paris Washboard to require the services of a bass player. His main influences are: James P. Johnson, Fats Waller and Art Tatum. Here is another great cd from this group... 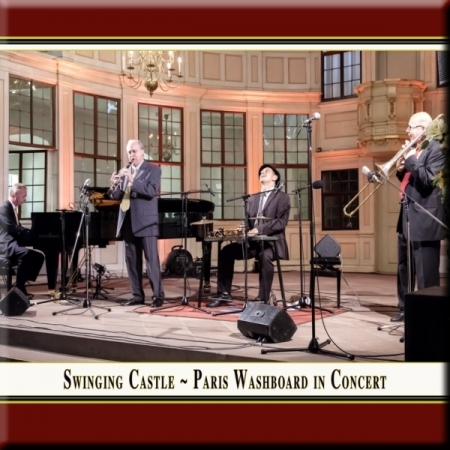 It was recorded live in June 2012 and the audience factor makes this group even more exiting. Rarely heard treats such as Fats Wallers' composition 'Dancing At The Waldorf' and Duke Ellingtons' 'Frolic Sam' are played with excellent execution. Old favorites such as 'Keepin' Out Of Mischief' and 'Dinah' are also on this cd.